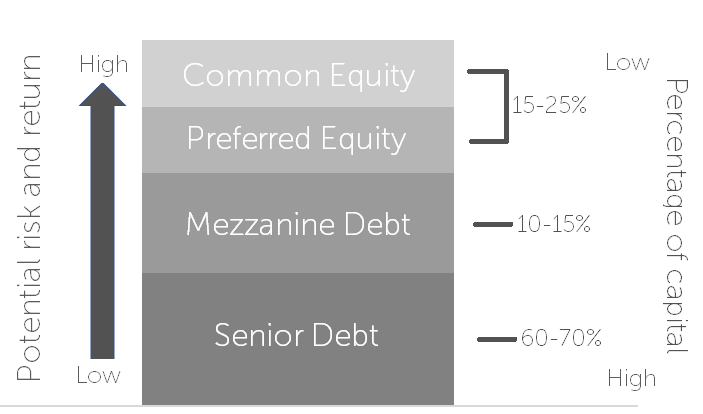 Equity and Debt - How are they different? Up until recently, investments on CrowdLords have all been equity investments where Investors own shares in the company carrying out the development or buying the rental units. In return they receive a share of the profits. Our understanding is that these investments have appealed to investors with some understanding of property developments and who feel comfortable with the fact that their returns may be higher or lower than projected. We recently launched our first Debt investment, which we believe might appeal to investors looking for more certainty in their returns and to enable others to balance the risk in their portfolio. However, investors should still note that as with all investments of this nature, returns are not guaranteed. All our Debt investments are secured via either a 1st Charge or 2nd Charge on the property and therefore have a lower risk profile compared to equity investments, as assessed by CrowdLords. This should result in a lower, but more consistent return. Equity investments in general [AB1] are considered to be high risk investments that can earn a significant rate of return typically between 15 – 25% p.a. along with the potential to earn more than the projected returns. However, Investors can only usually be repaid their capital along with any gains once the lenders have been repaid. Where possible we look to include ‘preferred minimum returns’, which is the return investors receive before the developers are able to take any of their share of the profits, and any further profits will be distributed based on the agreed investment structure. Debt investments on the other hand are often considered as lower risk than equity investments and as you would expect, they generally yield a lower return. The debt instrument we use is a Bond, a legally binding contract between an investor and borrower (such as an SPV), stating the bond principal and maturity date. Debt investors enjoy the benefit of knowing their returns when they enter into the investment. It is worth noting that like equity investments, debt investment returns are also not guaranteed They should also be clear on who gets paid when. If they enjoy a 1st Charge, as the name suggests they get paid first before anybody else. If it is 2nd Charge, as with Mezzanine Debt for example, then they get repaid only after the 1st Charge lender has been repaid both their principal and any interest due. Most experts would recommend a balance of potential risk and reward within any portfolio and that balance should depend on your financial situation and your attitude to risk. Financial advisors often suggest that your risk profile should be adjusted as you get older, prepare for retirement and when you retire. Our stated goal is to make property investment easier, more accessible and more productive for more people. We can only do that if we have a range of products that can be combined to satisfy different risk appetites. Ultimately, we aim to provide the entire capital stack, enabling investors the opportunity to potentially grow their portfolio and adjust the risk and reward to match their needs more precisely.